The tax instalment tables for PAYG wage and salary earners can be obtained in a number of formats. Includes weekly, fortnightly, monthly and quarterly tax instalment schedules. The recent budget 2018 provided for changes to the personal tax scale commencing 1 July 2018, for which the necessary legislation has now been passed. The effect of the changes in 2018-19 is to lift the 32.5% band ceiling from $87,000 to $90,000. 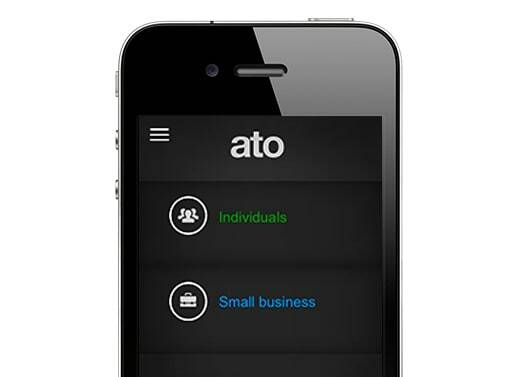 The Tax Office’s free mobile app contains a number of handy tax tools, including a salary and wage PAYG tax withholding calculator. For the convenience of a spreadsheet tax instalment calculator always handy to keep on your computer desktop. The 2018-19 PAYG calculator applies until 30 June 2019. This calculator takes up ATO formulae as applying from 1 July 2018 to 30 June 2019. The price is $7.97 including gst. Immediate download: On completion of your payment your browser will be sent to a download link. The required tax instalment deductions from employees’ pays in are set out in tax tables normally updated annually by regulations and published by the Tax Office in printed and PDF. Some situations with more complex requirements are maintained as an online resource. The tax tables are intended to provide an estimate of the final tax payable when an employee lodges his or her tax return for assessment at the end of the financial year. Tax tables for the 2017-18 financial year were updated to reflect the removal of the top rate 2% surcharge (incomes over $180,000) but otherwise remain the same as the 2016-17 financial year. Changes to the 2018-19 tax scale foreshadowed in the 2018 Budget includes an increase in the ceiling of the 32.5% band from $87,000 to $90,000. Significant changes were made to the tax scale in 2012-13 – see Comparison of 2013 and 2012 Tax Rates. There were no further changes in the basic scale until 2014-15 when the medicare levy basic percentage increased by 0.5% and a 2% budget levy added to the top marginal tax rate which applies until until 30 June 2017. A further increase in the basic medicare percentage rate, moving to 2.5%, is scheduled for 1 July 2019. Official tax instalment (PAYG) rates are slightly more than the actual tax rate. So all things being equal, an employee with nothing other than wages to put in their tax return, could normally expect a small refund on the final tax assessment. This normally means there is a small difference between the tax calculated by our PAYG calculator (or manually from the tax instalment schedules) compared to an annual income tax calculation based on the actual tax rates. The difference is perfectly normal, and simply due to the slight difference in the calculation formulae. You can see this discrepancy by comparison if you have both calculators, or by comparing (for the 2017-18 year) the PAYG deduction formulae here, with the annual tax scale here.